Dwindling social services budgets and for-profit nursing homes are leaving nursing home residents in Massachusetts without a bed, according to boston.com. Elderly residents who may be hospitalized for a short while or those who leave to make a visit to family member risk losing their spot in their nursing home. More and more budget cuts are worsening the risks. Beds are not be held for much longer. As those living in nursing homes relying on Medicaid continue to experience budget cuts, more and more are facing risks of losing a bed — overcrowding and short staffing also increase the risk of nursing home neglect in Boston and elsewhere throughout the state. We expect our elderly family members to be taken care of and to be provided for while they’re living in these homes. Sadly, that’s often not the case. Our Massachusetts nursing home abuse attorneys understand that many of our local nursing homes are in fact run by large corporations and are for-profit companies. When a resident temporarily leaves the home, there is sometimes no guarantee that they’ll have a place to return to. Advocates made attempts to influence government to reevaluate their cuts, but there efforts have largely been ineffective. A new rule will take effect on the first of November. 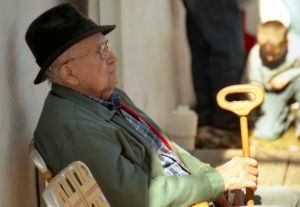 The new rule cuts state Medicaid and could potentially force nursing home facilities to readmit elderly residents once they’ve left the facility. By readmitting them they’re likely to be placed in a new room. Advocates worry that this procedure with confuse a number of residents that are diagnosed with dementia. “Imagine the stress this will put on families, heading into the winter holiday season, and they’re thinking, ‘I will have to tell my loved one that I won’t be able to bring them home…because they’ll risk losing their bed,’ ” said Debbie Banda, director of the Massachusetts office of AARP. Approximately 1,600 signatures were collected by the Massachusetts Advocates for Nursing Home Reform in an effort to get lawmakers to find other areas to make their budget cuts. The Medicaid budget only consisted of about $10 million before cuts. The program offers compensation to nursing homes for holding on to beds for residents for 10 days if they had to temporarily leave the facility. Facilities will no longer receive this compensation and could give the beds to new residents in an effort to bring in the most revenue. Back in 2010, there were nearly 29,000 instances in which resident’s beds were held for then through Medicaid funding. Medicaid reported that there were as many as 5,000 empty beds at any given time under the old provisions. Advocates will continue fighting Congress in an attempt to help ensure that these elderly residents have a place they can call home without the fear of losing it. If your family is dealing with suspected nursing home neglect or abuse, or if you have concerns about a Massachusetts nursing home, contact the Law Offices of Jeffrey S. Glassman for a free and confidential appointment to discuss your rights. Call 877-617-5333.